overheating Archives - Scrape by IT Guy - Do I have enough for rent this month? One of the biggest issues most users struggle with is overheating and most of the times they don’t even know they are suffering from such issue. 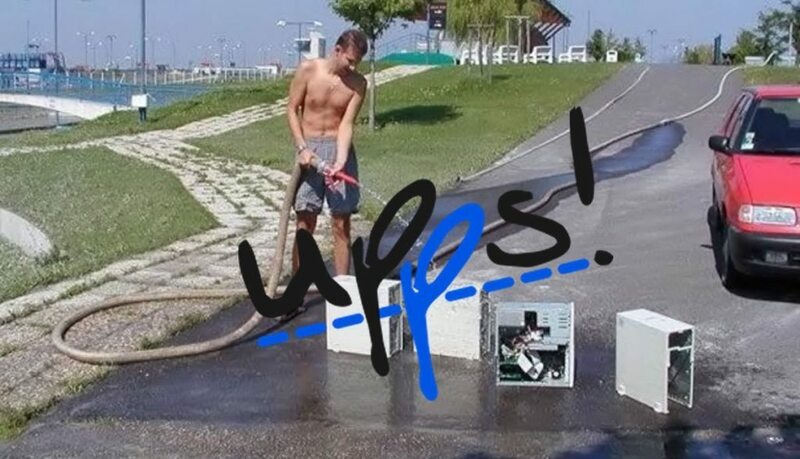 Modern computers can handle overheating quite well, only in extreme cases do they shut themselves down to prevent damage to physical components (though damage may happen regardless if the issue is not fixed). This does not necessarily mean the computer came poorly cooled but rather that the computer itself has not been cleaned for an extended period of times (you’d be amazed at the things I’ve seen…). For the average user, the “Home PC” is just another electronic appliance such as the TV, the Microwave or Hoover and the problem with that is that the computer is considerably more complex while the other examples don’t really require you to clean them nor at they meant to be opened and maintained, they either work or don’t, there doesn’t seem to be an intermediate state. Due to this, most people will not think or consider cleaning the inside of their Desktop PC. In the office it’s slightly different as most offices have an in-house or on-call IT specialist to maintain their equipment. When On-Call, the IT technician will most likely only come when there’s a problem, at most they will set a procedure usage for people working there that they will most likely not follow anyway. If there’s an in-house technician, it implies there’s plenty of work to go around and generally these technicians will not have time to do basic maintenance on all of the office’s computers but rather are there for when things go wrong, instead of preventing things going wrong (after all, an office that size will rather spend money on new components than have downtime for maintenance). All this adds to the mentality of computers not needing an inside clean at least once a year. And this leads me to the initial point, one of the main causes for computer failure (if not the biggest) is overheating and the biggest cause of overheating is accumulated dust and general filth inside the computer. So, coming up is a full, step-by-step walk-through on how to open and clean your computer safely and quickly. Things to have in mind before we open up our computer. 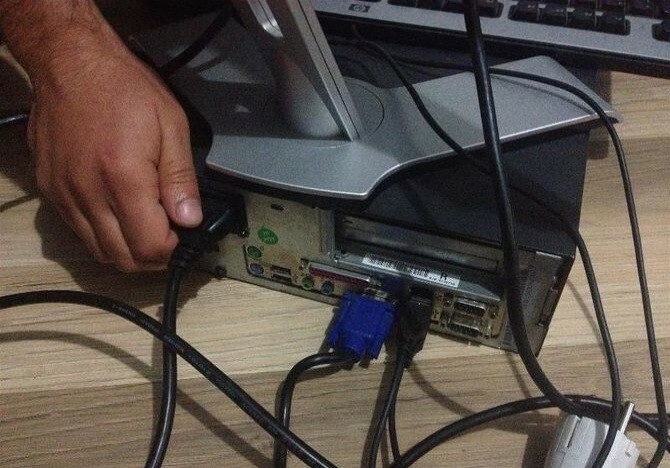 In some cases, opening your Desktop PC will void the warranty. You should check if your Desktop PC is still under warranty. 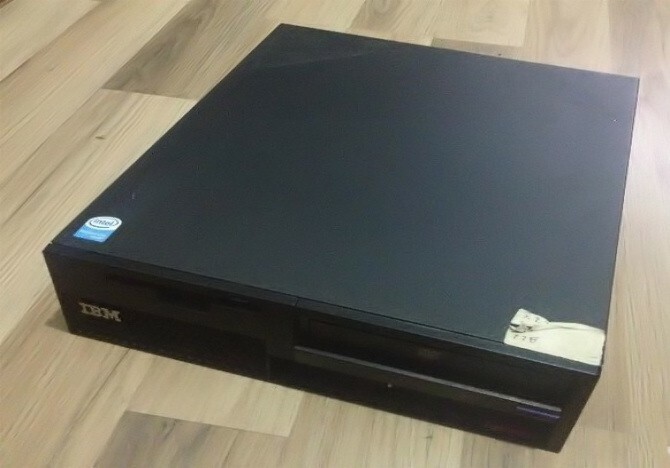 If it is, you’ll know if opening the Desktop PC will void your warranty by looking at the rear and seeing if a “sticker” is placed to detect if the Desktop PC has been opened. Breaking this seal will void your warranty. If your Desktop PC does not have this sticker, it is implied opening it will NOT void it but you should check with your retailer first anyway. When working inside your computer, ALWAYS wear an anti-static wrist band connected to any metallic part of your Desktop PC case. This will ground you and prevent releasing anti-static charges on to your components which are very sensitive to this kind of electricity and may be damaged if we do not use it. In today’s world, it is argued that these are rarely needed anymore as electronics aren’t as sensitive as they used to be but… considering the price of one of these, better safe than sorry! Always lay down your Desktop PC on top of a wooden surface. This will aid us on preventing any sort of static electricity discharge and by laying it down we will prevent any damage in the case there’s a loose component that falls out once we remove the side panel. These are 2 very simply requirements that can save us a big headache later on. 1: Gather your tools. 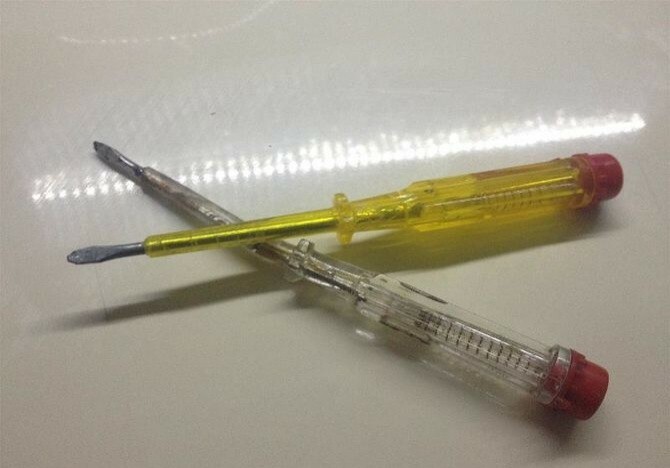 Most cases will just need one Philips (star) screwdriver to access. Some cases use thumbscrews, but a screwdriver can still help loosen an overly tight screw. The most common screw is a 6-32, which you can use a standard #2 Phillips screwdriver to remove. This is the larger of the two most common sizes. The second most common screw is the M3. This is slightly smaller than the 6-32, but can still be removed with a #2 Phillips screwdriver. If you want to clean the inside of your case, you’ll likely need some compressed air. An electrostatic wrist strap can be helpful for grounding yourself while working inside the computer, but you can ground yourself without one. 2: Shut down the computer. While this may sound obvious, it wouldn’t be the first time I’ve seen a corrupt system due to the fact the computer was not shut down but rather in hibernation mode which made it look like it was off. 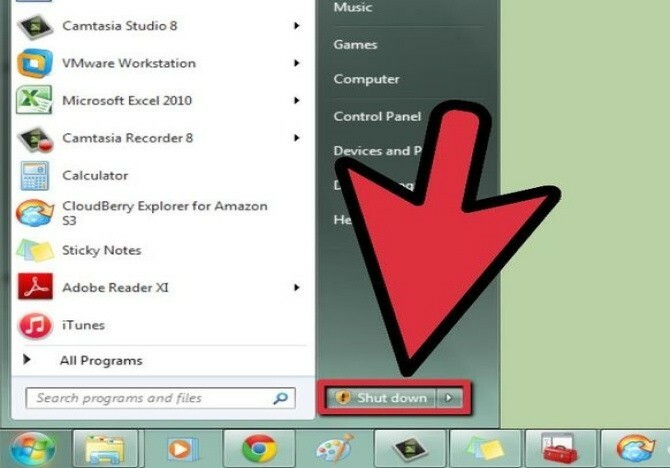 Use your operating system’s Shutdown function turn the computer off. 3: Unplug all of the cables from the back of the computer. If you’re afraid you won’t be able to remember where everything goes when you need to plug it back in, take a picture or draw a diagram first, it’ll only take you a few seconds which can potentially save you hassle and time when we’re done. 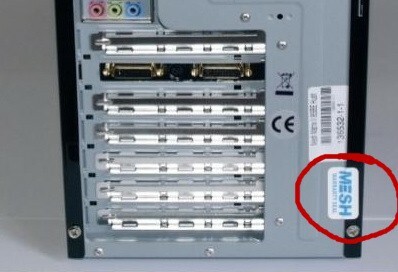 4: Identify the motherboard I/O (Input/Output) panel. 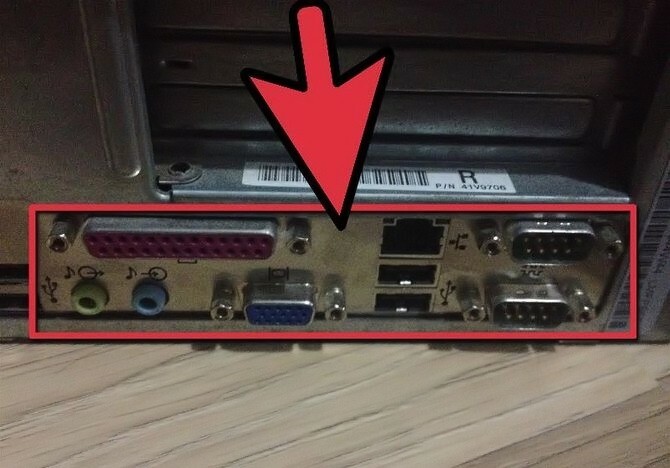 This is located on the back of the computer, and contains a variety of different connectors, including Ethernet, speakers, USB, display, and more. Knowing where this is will help you orient your case on the table. 5: Lay the case on your work surface with the I/O panel laying closest to the surface. 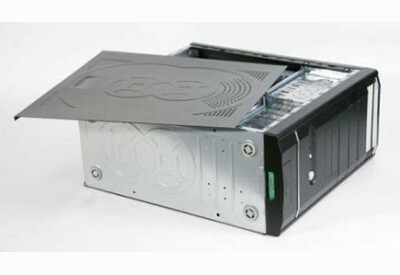 This will ensure that you remove the correct panel on the computer and can access the components inside. Avoid laying your case on the carpet when working on the inside. 6: Find the screws along the back of the case. You should see two or three screws along the side panel at the back of the case that hold them in place. Removing these screws will allow you to remove the side panel. Lots of enthusiast cases and some cases from major manufacturers will use different case panel mechanisms. 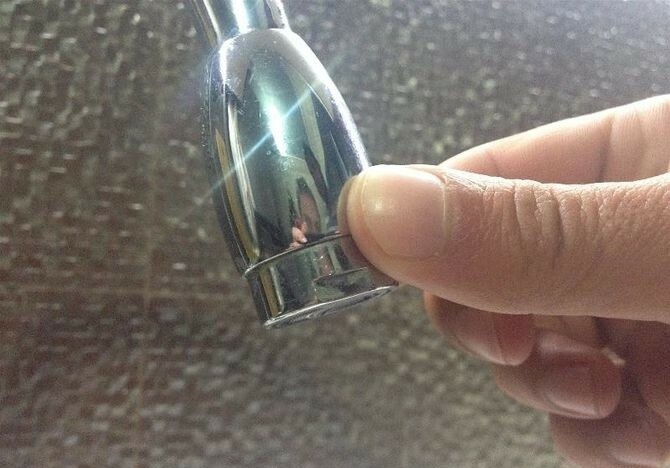 Some use thumbscrews that you can remove by hand, while others have a simple latch and no screws at all. If you’re having difficulty figuring out how to remove or open the side panel on your case, look up your computer or case model online. 7: Ground yourself before touching any components. Electrostatic discharge can cause significant damage to your components without you even realizing it. 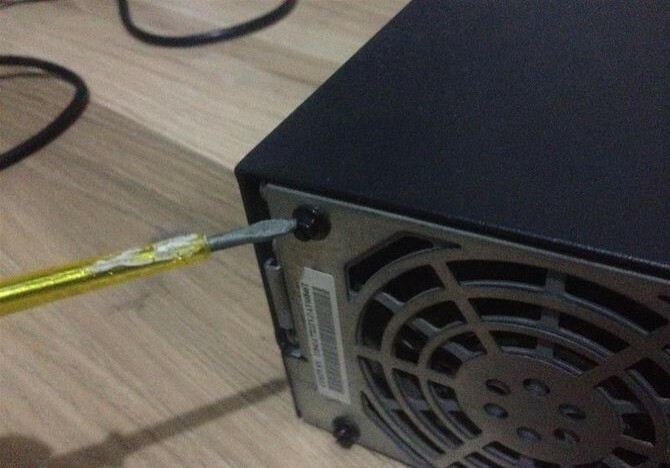 Ensure that you are properly grounded by attaching your electrostatic wristband to the bare metal of the computer case, or by touching a metal water tap. 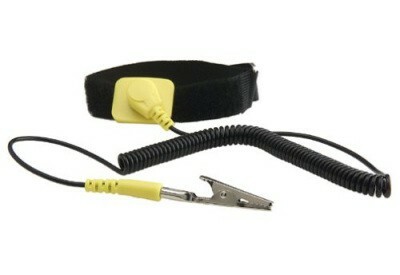 This is not needed if you’re already wearing the grounded strap and have attached it to the computer chassis. 8: Clean your computer while it’s open. Computer’s build up dust surprisingly quick, and dust can lead to overheating, poor performance, and hardware failure. Any time you open your computer, you should take a few moments to ensure that dust isn’t becoming a problem. 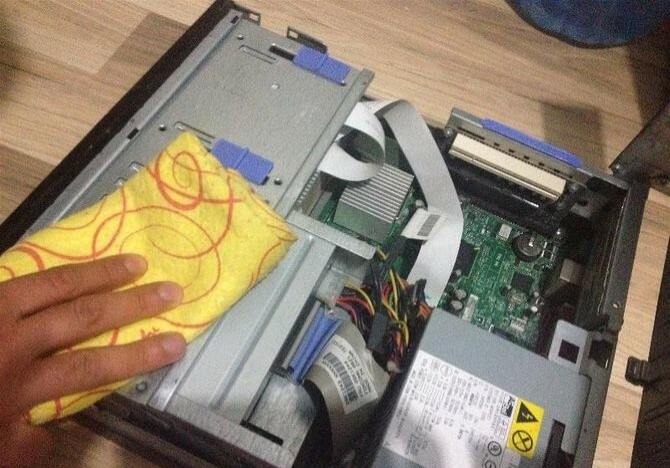 Ideally you should use a can of compressed air as it’s the safest way to clean the inside of your pc. See, that wasn’t so hard was it? If you use a compressed air can you won’t have to fiddle around with components and can get to the harder spots. Ideally once the computer is open you would also want to change the thermal paste on the processor (and even Graphics Card if you’re feeling adventurous!) but we will leave that for another post, for now you can do what’s mentioned in this post quickly and it will most definitely extend the life of your PC. Now, close your Desktop PC and connect it back up with that refreshing feeling you get after you’ve done a good job. It’s no secret that a lot of people prefer a Laptop over a Desktop if they have to choose (many have both). In my experience with clients, 95% of the time, the answer to why is mobility or space (or both). As for the specifics, well it could be as simple as “I need my laptop for work due to the fact that I move around constantly” or “I don’t really have room for a desktop PC, not even one of those all-in-one solutions” which is specially the case for university students living in stupidly small apartments. The fact is that a Laptop is simply more comfortable. Personally I don’t have one but I have had several over the years. All types as well, going from the traditional laptop to ultrabooks to netbooks (those 7-10″ underpowered laptops that abused the “it’s just for internet” excuse) but most importantly, I sure do fix a lot of them and the two main reasons for that are hard drive failure (due to knocking the laptop with something) and overheating. You see, if Laptops where people, they’d have a serious inferiority complex and a constant need to “try to be better” or in this specific case, try to be more like Desktops and the main problem with that is power. 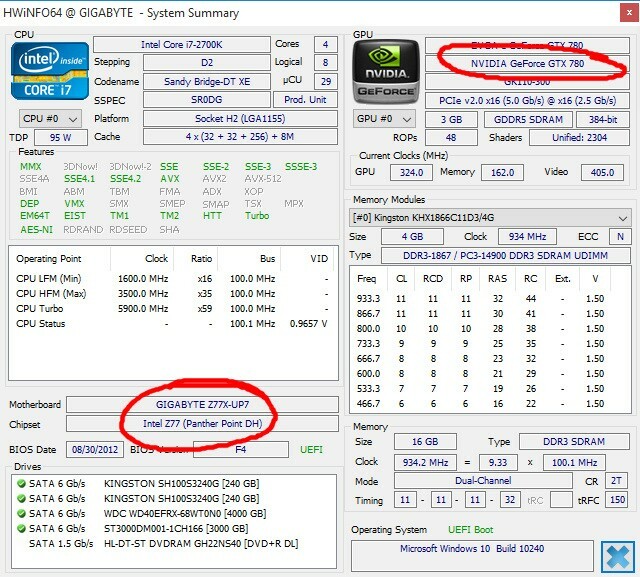 You may not know this but an i7-xxxx is not the same as that very i7 model cpu on a Desktop computer. Why? Because a Laptop has power limitations (and I mean power in the electricity way, not performance) due to the fact that their battery has to last, at the absolute least, an hour and a half (when new) which means components are only allowed to use so much power and in the hardware world, more power tends to me more performance. Today, however, as components get better, they require less power to put out all they can, specially with many power saving features such as cpu power management or having an integrated graphics card for doing menial tasks and using the discrete graphics card for stuff like gaming. Unfortunately, because these components are more powerful (performance), they put out more heat, specially under stress. A perfect example is, an average Desktop will measure a max temperature of 50-75c (depending on location and components of course) under heavy use while a Laptop can easily reach 90c. As time goes by, components get older and hotter so while a Desktop has plenty of room to get hotter and not have any symptoms other than heat, a Laptop does not and will soon start to fail. So, here’s 9 ways to cool down your Laptop. 1: Find a hard, flat surface. One of the most common mistake people do when using a laptop is thinking it’s ok to use it in bed to, for example, watch a movie or the latest episode from your favourite tv show. If the laptop is on a soft surface like your bed or nested in between you and a pillow you’re doing it wrong. Have in mind that laptops breathe in through either underneath or the sides depending on models and thickness. Finding and using a hard surface will allow your laptop to maintain good air flow. The floor isn’t ideal either for the same reason it’s not ideal to have your Desktop’s tower on the floor, it tends to be covered in a thin layer of dust which while you may not see, both types of computers pick it up through their air intake which in turn ends up blocking it causing less fresh air to go in and therefore rising the temperature. Ironically and contrary to what its name implies, your lap isn’t the best place either. Furthermore while it may be obvious it needs to be said, do not cover the air intakes with decorative stickers or other paraphernalia and most importantly, whatever you do, do not place your laptop in direct sunlight. That said, this is not a “NEVER DO THIS” list of places for your laptop to be on, it is simply a list of places that not only do not help your laptop’s cooling but rather, make it considerably worse. 2: Clean out the fluff. 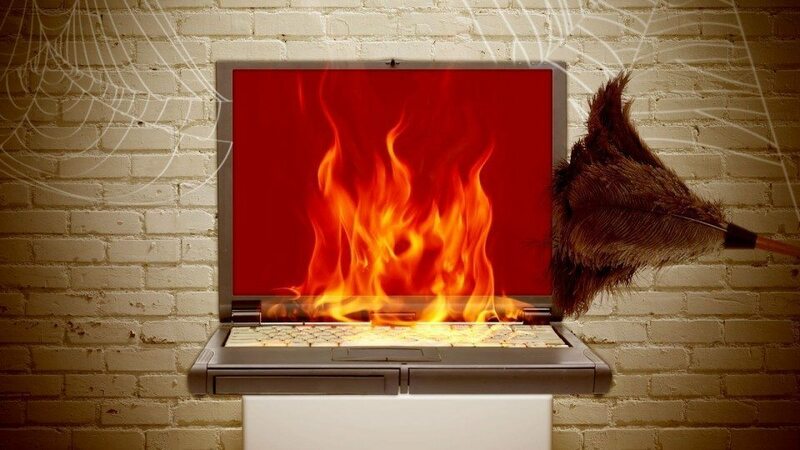 One of the main causes of an excessively hot laptop is dust. There’s several ways to solve this but the simplest is to purchase a can of compressed air and spray it into the vents in quick and short bursts, be sure, however, that your laptop is off, unplugged from the mains and with the battery removed before you do this. Also, don’t just blow in to the vents, that’s being cheap and it may actually cause damage as by blowing you can blow spit and/or humidity in to the sensitive electronics that are within the laptop and as we all know, being cheap rarely pays off, specially on electronics. 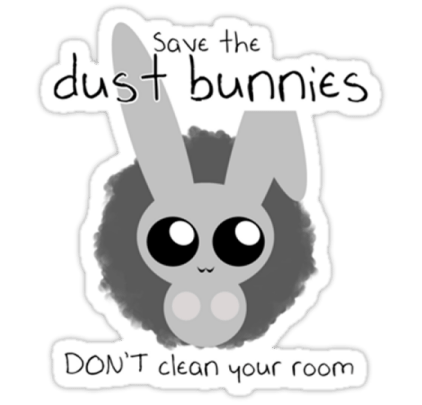 You can also use a cotton swab to clean out any visible dust within the vents but do not use a vacuum cleaner unless it’s a specific one for computers due to the fact that these generate electrostatic current which is incredibly bad for exposed electronics. The ultimate procedure is to open up the laptop and clean it through out, but this is nowhere near as easy or quick as doing it on a Desktop so do not attempt this unless you know exactly what you’re doing as you may find yourself with broken clips or not knowing how it all goes together again so if you want to do this, be sure to take it to your local specialist as 50 dollars/pounds/euros spent today may considerably increase the life of your laptop due to it not being exposed to overheating. 3: Buy a cooling stand. In the last few years there’s been an increase in the need for this devices (and for good reason). They are essentially bases for your laptop (which, again the recommendations on step 1, will allow you to use it pretty much anywhere as it does provide a hard surface for your laptop that also cools it) with an integrated fan that is usually connected via USB to your laptop for power (obviously have in mind this will draw power from your laptop and therefore drain your battery slightly faster). 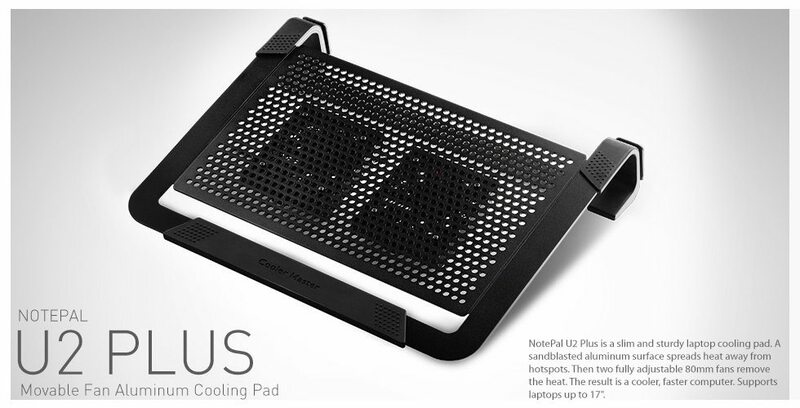 One that I quite like and have gotten better results than other (which turn to be plastic or have poor fans) is the “Cooler Master Notepal U2 Plus” on which you can adjust the fans to cool the hottest areas on your laptop. You can get one in the following links if you decide to go for this model. Most people will never touch the drivers because it comes ready from the factory with everything installed. Even when new however, that very laptop could have been sitting in a warehouse for months so new drivers could easily have come out since then. Drivers (specially chipset and graphics drivers) don’t just fix issues, they also optimize the performance and cooling so while it may not be a drastic change in temperatures, in most cases it will help a bit (and you may even notice a performance increase!). 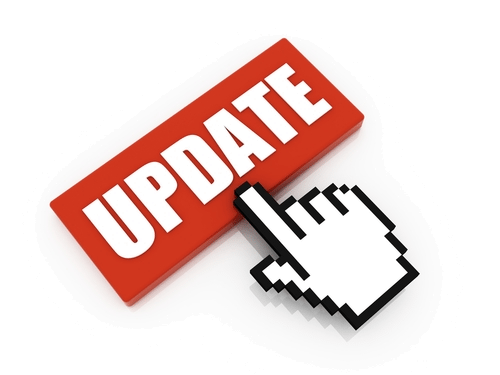 Unfortunately, most (if not all) Laptop manufacturer websites do not upload new drivers to their website from the manufacturer unless it fixes a very common and complained about issue so you may have to do some hunting. Fortunately for you, your main concern will chipset and graphics drivers which, incidentally, are also the easiest to find. The first thing you’ll need to know is what Chipset and Graphics card you have, you can find out what you have using a little program called HWiNFO which you can find in the downloads section. Once you install and open it, you’ll see your chipset and graphics card information. Now that we have the information we need, we just need to go to their websites. So, if you have an Intel Chipset, you can install an auto-updater from Intel here. If you have an AMD Chipset you can do the very same here which, incidentally will also update your Graphics card if you have an AMD or ATI graphics card as it’s part of the same company. If you have an NVIDIA Graphics card you can do the same here. See, that wasn’t so scary was it? 5: If none of these helps enough. The sad fact is that your laptop may be beyond the previous tips being enough. At this point what it needs is to be opened up, cleaned properly and for its thermal paste to be changed. Thermal paste (or grease) is the substance used in between your CPU and GPU and their respective heat sinks which in turn are connected to your fan. Disgracefully (in my opinion anyway), laptop manufacturers use a really low quality thermal paste on their laptops which completely dries up over time and eventually leads to serious overheating issues, specially with laptops that higher end specs. On a normal Desktop PC it would take us no more than 10 minutes to change the paste, on a laptop however, it’s a time consuming procedure to laptops not having a universal chassis mounting design and therefore every laptop being different when it comes to opening it up. For this you’ll really need to take it to your local specialist but, for all we know they may use cheap thermal paste too so a good thumb of rule is asking them to call you when the laptop is ready to have its thermal paste replaced and watching them do it on the spot by providing your own. I will always recommend Arctic’s MX4 Thermal Compound, it’s absolutely amazing how this stuff will cool down your laptop (we’re talking 25c less for an overheating laptop). Below you’ll find links to it. That’s it! Let me know in the comments how these tips worked for you and of course I’ll be happy to reply to any questions.